Tune in to the episode here! Join Ramdesh for a listening experience of Simrit Kaur’s exciting new album, appropriately entitled Simrit! This unique CD, Ramdesh observes, is “infused with her signature, special and distinct style” and was recorded with a live band in the studio. 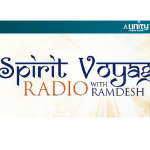 As an added treat, this vibrant sacred chant artist joins Ramdesh for a brief conversation later in the show. The first track you’ll hear from Simrit is “Antna Siphti” which is part of Japji, the morning prayer of the Sikhs. This section is about letting go of family karma, so if you have a troublesome relationship with parents or siblings listen and just let it all go. Rock out and jam, Ramdesh suggests, and let your family issues become lighter on your shoulders. Simrit’s work is a splendid example of how mantra musicians are innovating into nontraditional sounds in the mantra world, incorporating more rock and the styles that they love. 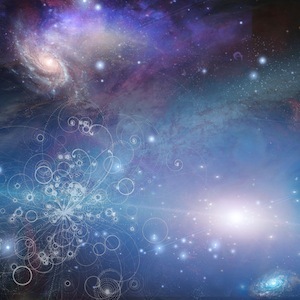 “You could call it a musical revolution in the mantra world!” Ramdesh notes. It’s an exciting time in the sacred chant realm. The next track is called “Revolution” so get ready to rock out! Next up is “Ad Guray Nameh,” a mantra for protection that boosts your magnetic field and creates a positive projection in your life. You’ll enjoy Simrit’s lyrical version. “Mul Mantra” is next, a mantra that fulfills your destiny and helps you break outside of the limits of fate and karma, encouraging you to step fearlessly into the future. “This track has a great vibe and feel,” says Ramdesh. You will definitely want to chant along with this track. We sure did! If you’d like to find out more about Simrit go to www.SimritKaurMusic.com or check out her fan page on Facebook. 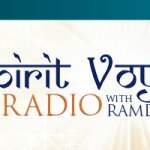 “I hope you’re enjoying diving into different sounds,” says Ramdesh, “Mantra is a huge ocean, a whole universe, and each singer, each musician is channeling a certain frequency and vibration, a certain authentic musical style that allows them to really connect to the heart of the mantras, to the heart of the music and the meaning. Find a sound that is right for you and if you’re totally jiving on Simrit head on over to Spirit Voyage or her website and learn more about her.” She has several other amazing albums in addition to Simrit, including The Oracle Sessions and The Sweetest Nectar. In the meantime, listening to this podcast is a great way to get a super sampling of Simrit’s latest work. 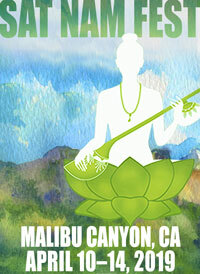 Rock, chant, and float your way into the ethers with this inspiring sacred chant artist!